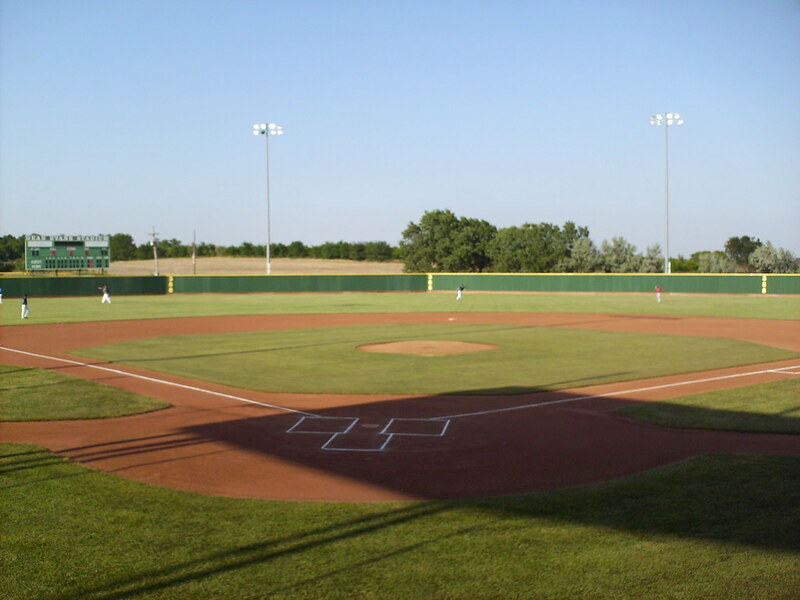 The view from behind home plate at Dean Evans Stadium. 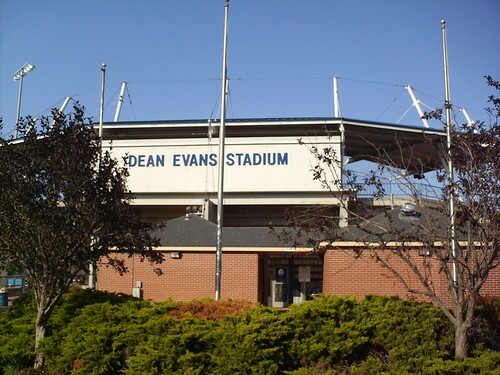 The grandstand at Dean Evans Stadium, as seen from the left field corner. 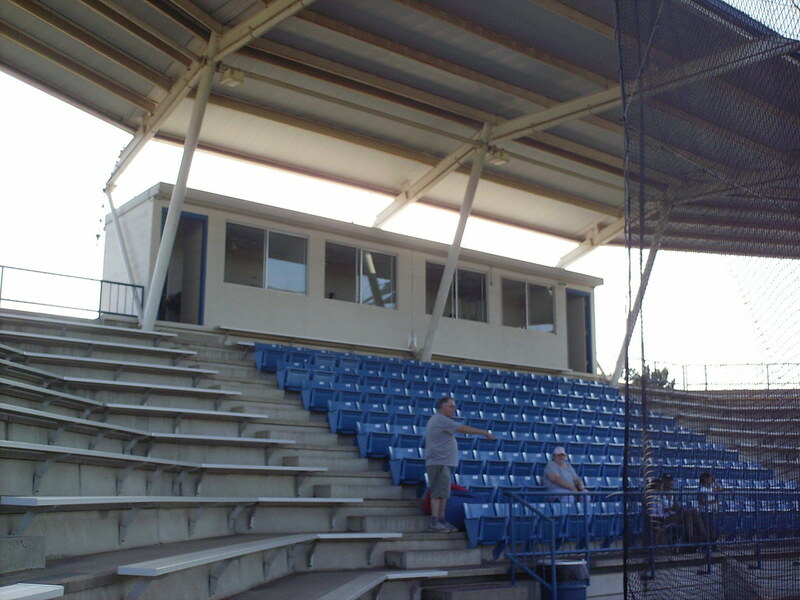 The pressbox sits at the top of the covered grandstand. 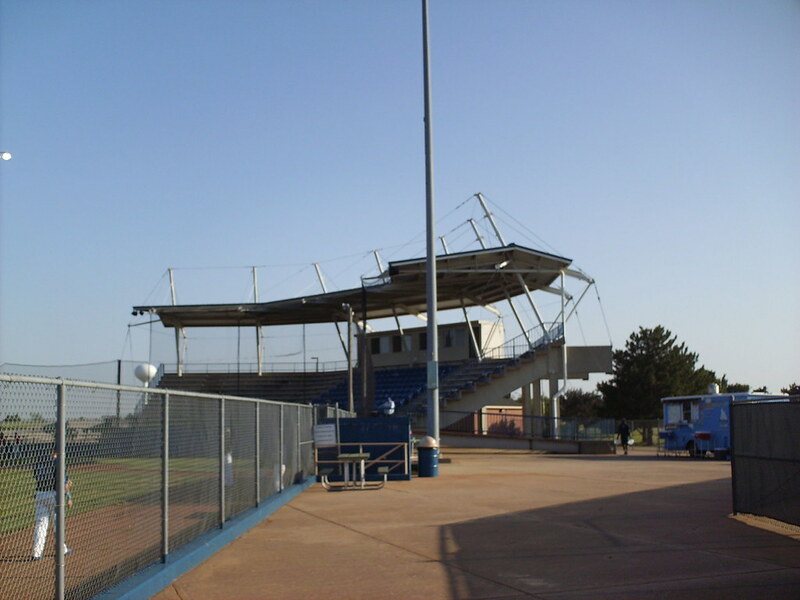 Seating in the section behind home plate is blue fold-down plastic seats, while the rest is aluminum bleachers. 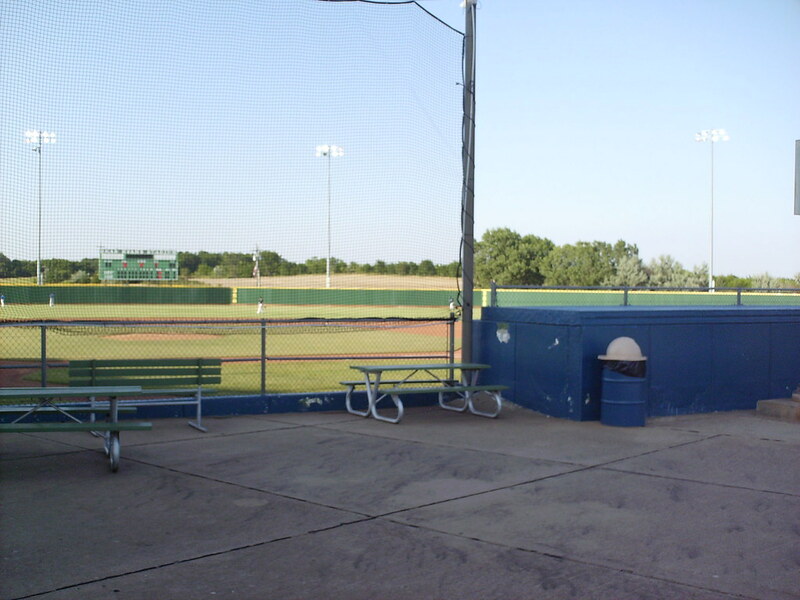 Picnic table seats sit next to the grandstand and dugouts on either side of the field. 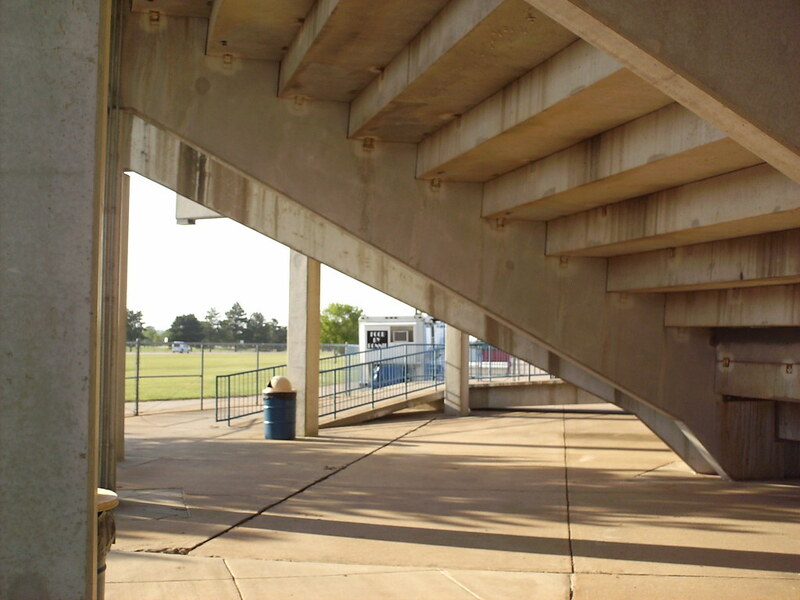 The concourse under the concrete grandstand at Dean Evans Stadium. 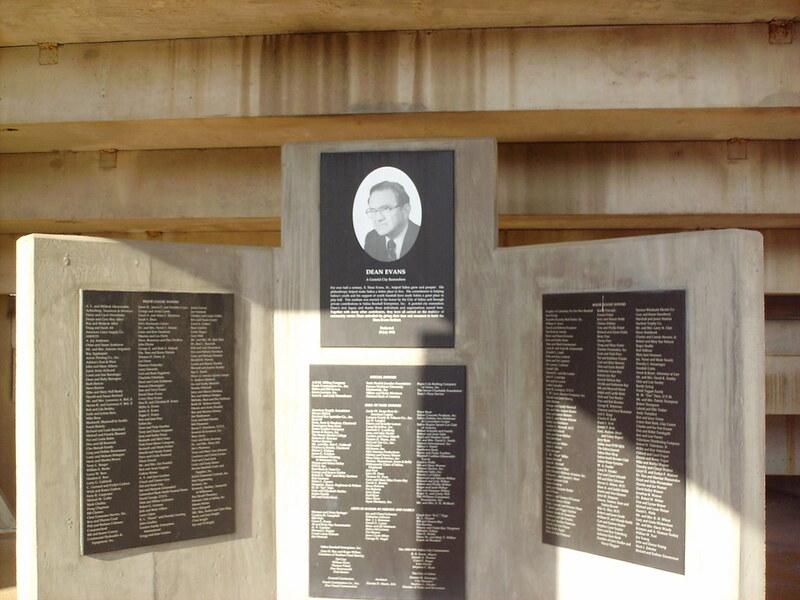 A plaque under the grandstand celebrates Dean Evans, Salina's "Mr. 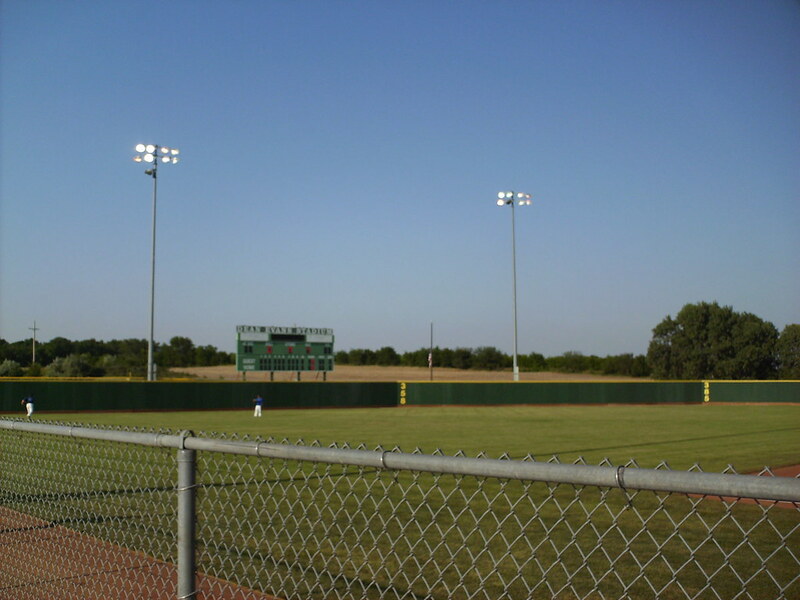 Baseball" and the stadium's namesake. 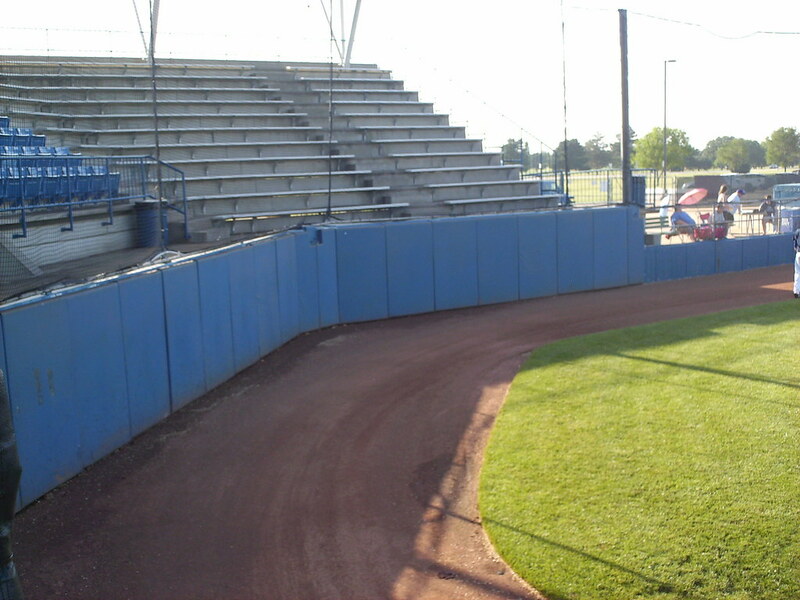 The stadium features a tall, squared off, backstop behind home plate. 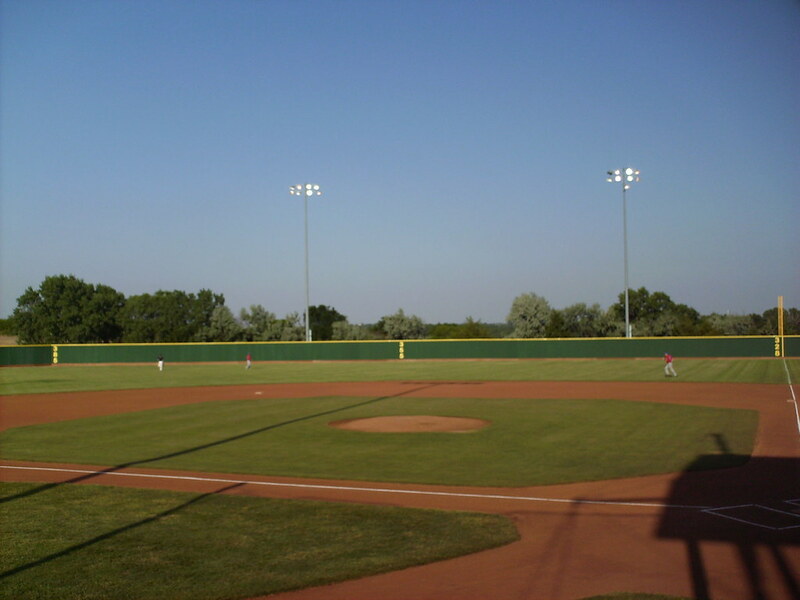 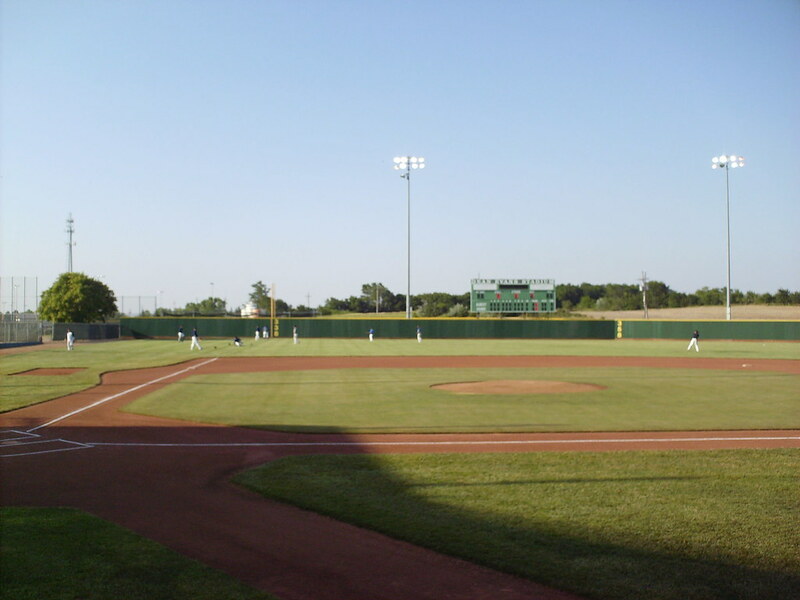 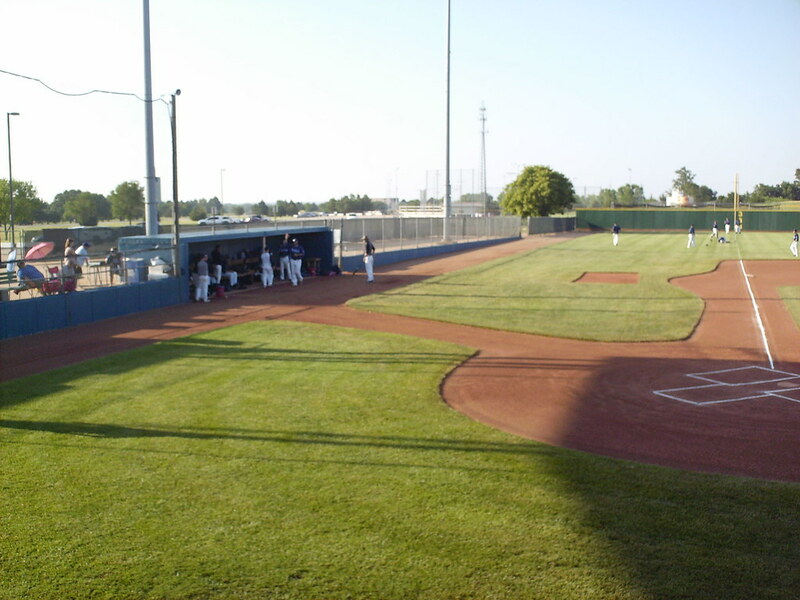 The dugouts sit above ground, and the park features a large amount of foul ground behind the plate and down the lines all the way to the outfield fence. 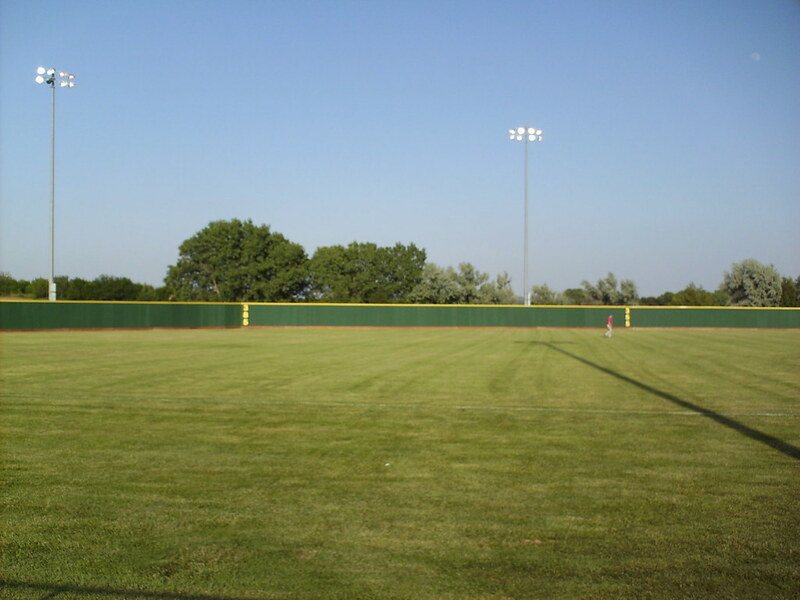 The outfield fence is wooden, with sharp corners on either side of center field. 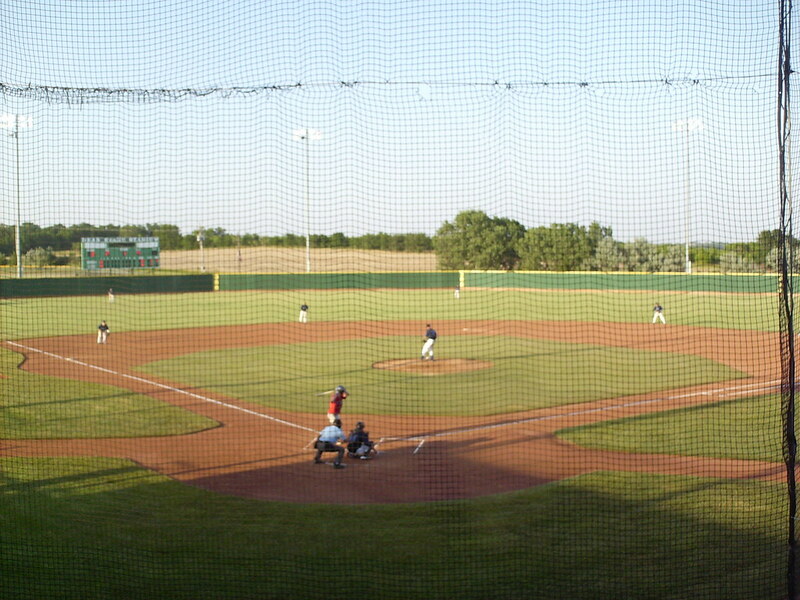 The Salina Stockade on the field during a game at Dean Evans Stadium.